Actually, we’ve got movie to book adaptation in the case of The Water Diviner. 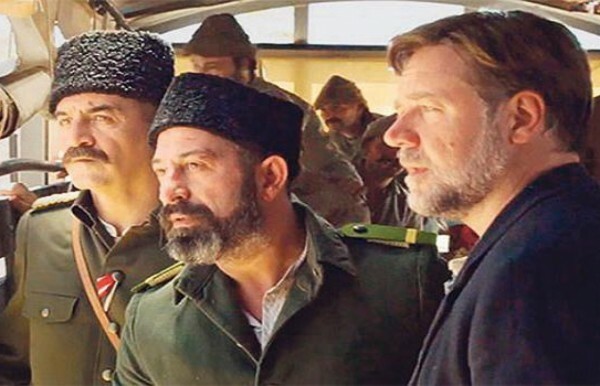 The latest film with Russell Crowe was a common project by scriptwriters Andrew Knight and Andrew Anastasios. The story is inspired by real events. Andrew Knight was very interested in his wife’s family history. Her grandfather was water diviner, a very rare and well respected profession in Australia. The idea of the two-man team was to take a special look over Gallipoli campaign, one of the most important battles during World War I. More than 100 000 people were killed during 9 months clashes. Andrew Anastasios started with the research of old war correspondents articles. He found a story about a man from Australia, who went to Gallipoli in search of the grave of his son. Russell Crowe was so inspired with the story that he agreed not only to act but to debut as director. The Academy Award winner for the legendary movie Gladiator started the photography in December 2013. He added to the cast the beautiful Olga Kurylenko, who played Turkey widow. The budget for the production was between $8.5 and $11.5 and isn’t still officially announced. Most part of it went for the big star Russell Crowe. The movie had some problems finding a strong distributor in USA. The film was already released in Australia, Turkey, New Zealand and surprisingly my country Bulgaria (I am so happy about the fact). The UK and USA premieres will be in April. The reception by the critics is very nice. Rotten Tomatoes gave strong 6.8/10 rating from 19 reviews. Metacritic is with 63% quality rating, while IMDB set incredibly high 7.9/10. My personal opinion is that the movie is strong and I am happy that I got the chance to watch it. The current box office is pretty impressive without two of the biggest markets – little more than $11 million. The idea of the book came from one of the scriptwriters Andrew Anastasios. He was assisted by his wife Meaghan Wilson – Anastasios. 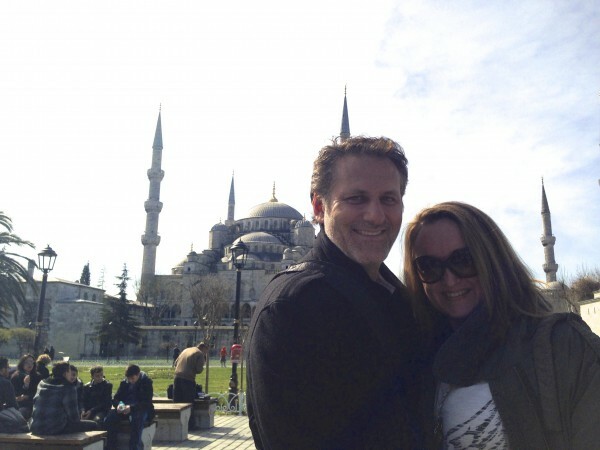 Both had met in Turkey during archaeological researches, and married in the Balkan country 20 years ago. Meghan was part of the research crew for the movie. She added more details in the book, according to her husband’s interviews. The official release of the book was on December 14 2014. Currently the history fiction novel is holding very nice average 4.4 Amazon stars from 14 reviews. Be sure that the interest will grow up in the next weeks after USA and UK movie premieres. 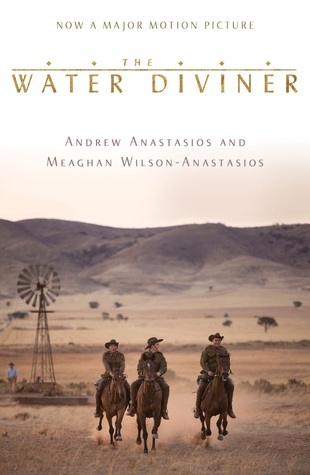 The Water Diviner was published by Australian house Macmillan. 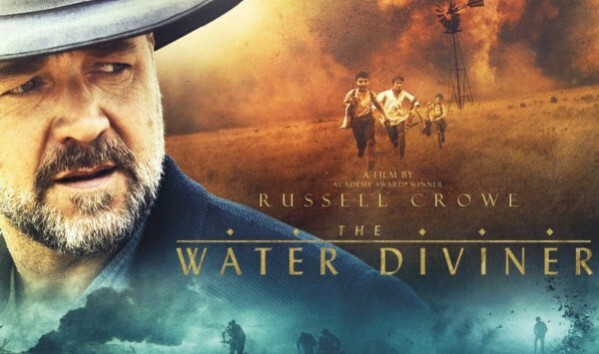 Posted on March 17, 2015, in Author, Books, Movie and tagged adaptation, Andrew Anastasios, book, movie, Russell Crowe, The Water Diviner. Bookmark the permalink. 5 Comments.